With so many other breakfast options out there in the pasty world alone, I feel like the humble muffin can get a little overlooked. And why? It's got everything we all look for in a breakfast baked good and then some. Occasionally, these simple-to-make baked beauties are more or less cake in a paper liner. Usually a tad sweet with a hint of fruit, nuts, the occasional chocolate chip or exotic coconut flake, I say stand aside cronuts: muffins are back. 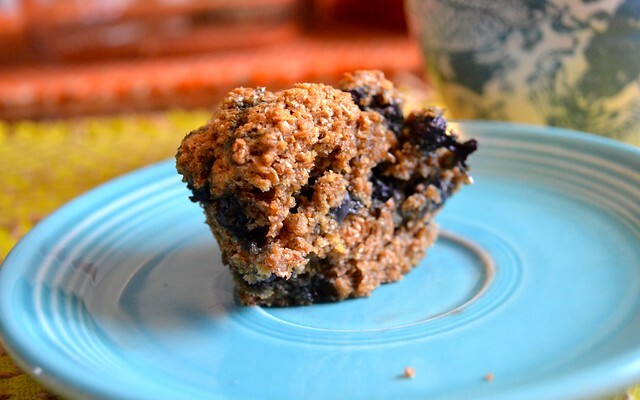 My craving for the perfect muffin usually falls right in between decadent and health food. It doesn't need to be perfectly either, but I'll take a little goodness with a little badness, please. 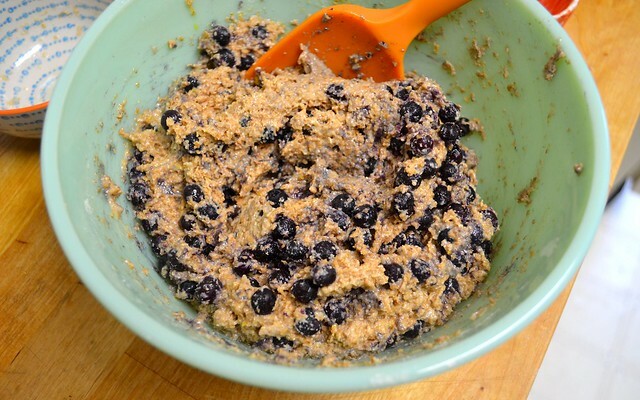 Which is where this blueberry bran variety comes in. Now, I know that hearing the word "bran" doesn't exactly make someone's eyes light up like they would if you said "all-butter pound cake" or "devil's food" or "peanut butter crunch." It's, well, bran. And bran often gets a pretty bad rap. For being boring or tasteless or too much like cardboard. Well, stop right there. 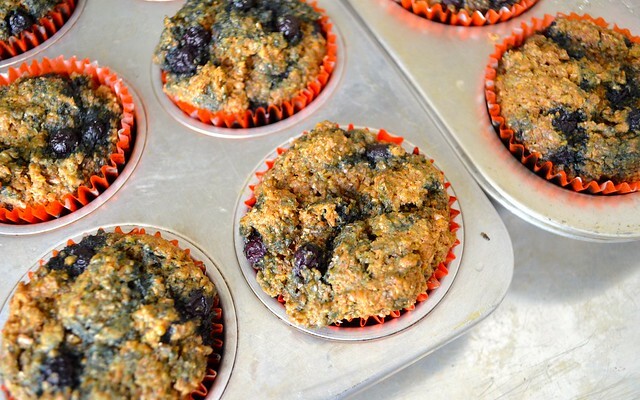 Not only does it give these muffins a nice, nutty, molasses-y flavor, you can also feel good about knowing that your breakfast (or snack or pre-dinner bite) is good for you, too. That, and we all know where blueberries tend to fall on the health-food spectrum: A+. Done and done. Note: When I made this recipe, I used 6 ounces of berries and found that the result was a little too wet: the muffins took longer to cook and didn't come out correctly, so I think in this case less is best. Begin by preheating your oven to 325 degrees. This recipe makes about 12 muffins, so prep or line a 12-cup or two 6-cup muffin tins and set aside. 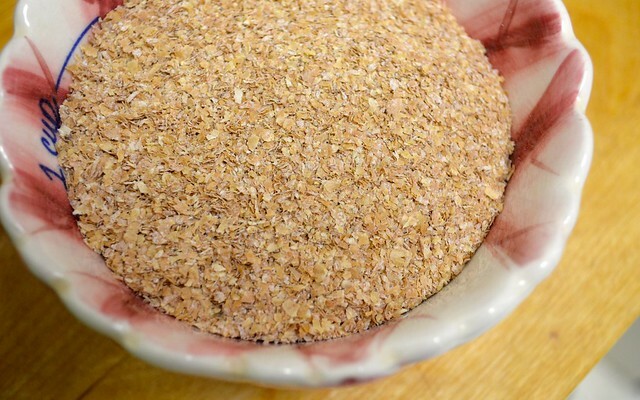 In a small bowl, add your almond "buttermilk" (the vinegar causes it to have the correct curdled taste), oil, sugar, flax egg and zest. Whisk together until uniform. 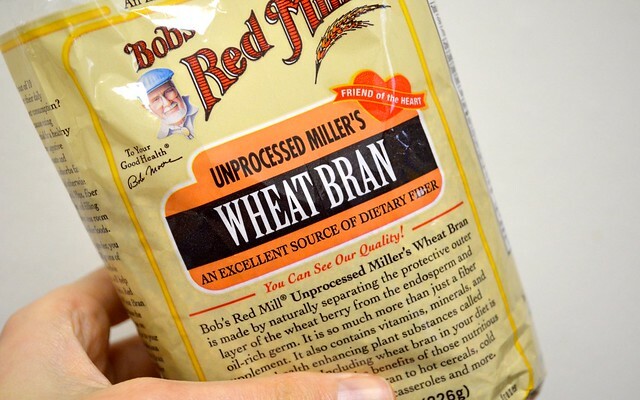 In a larger bowl, whisk together your wheat bran, flour, baking powder and salt. Gently fold in your wet ingredients until just combined. 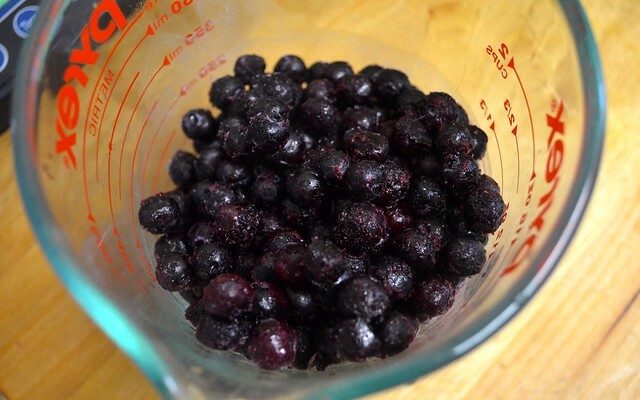 Lastly, gently fold in your blueberries. Transfer the batter evenly into your prepared muffin tins and bake for 20-22 minutes, rotating the pans halfway through. Transfer to wire racks for ten minutes, then remove and cool completely (no one will judge you if you don't make it to complete cooling. At least, I won't). Want more for your morning? Feeling even more fruit? 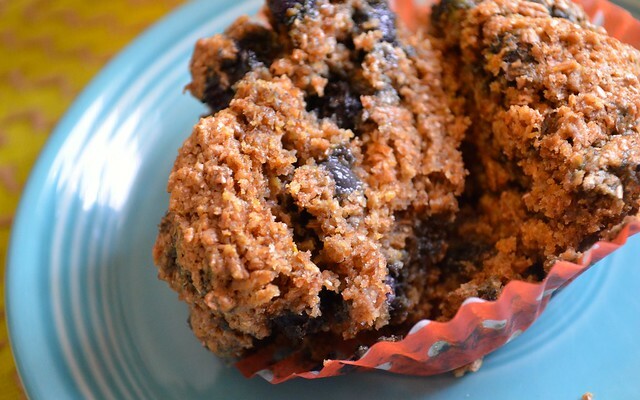 Try these blueberry-banana muffins. Remember that muffins-are-cake-myth? These triple coconut guys started it. Go B-A-N-A-N-A-S for these traditional banana nut.